Getting started with home automation may seem overwhelming, but My Digital Discount is here to shed some light on how simple it is to set up and the savings you'll see in the process. Home automation no longer requires hiring an expert or paying inflated monthly prices to rent devices from your cable provider. With a weekend's work, any do-it-yourselfer can turn a conventional home into a fully-automated smart home that can be controlled anytime with our latest offerings and knowing a few basics. Home automation is the ability to control basic home functions and household devices, at the touch of a button, using an app on your smartphone or tablet. With home automation, you can perform tasks like locking your doors, turning up the heat, turning off the lights, or even monitoring your home for intruders while you're away. Increase awareness of what's happening in and around your home with alerts from wireless motion sensors, automated door locks, and security cameras. Home automation not only reduces your monthly utility bills by running a more energy efficient home, it can also lead to home insurance savings of hundreds, sometimes thousands, of dollars each year. Adjust the temperature and start a fresh pot of coffee from the warmth of your bed with smart thermostats and appliance outlet modules. Home automation helps ensure that you're only using the energy and resources you need at the time you need them. Whether you're keeping tabs on children, monitoring your home, or remotely letting your neighbor in to water the plants - home automation has you covered. Home automation eliminates worrying if you left the lights on, locked the door, or turned off the television. Get the answer is just a few taps. The smart hub is the control center for your smart home. It functions as the middleman between you and your smart devices. When you set a command for a device with your smartphone, the message is sent to the hub where it relays that command to a specific device. In turn, the hub receives data, like temperature readings and motion sensor notifications, from your smart devices and relays that message to your phone. For home automation beginners, we recommend the Samsung SmartThings Hub for its ease of use and growing list of third-party device support. 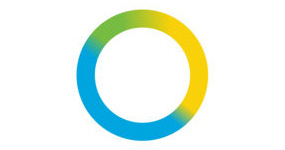 The smart app is what allows you to communicate with your smart hub using your smartphone, tablet, or computer. You will need to download and install the app for your specific smart hub from the Apple App Store, Google Play, or Windows Store. Smart devices are the electronic devices you place throughout your home to carry out the actions from your smart app. 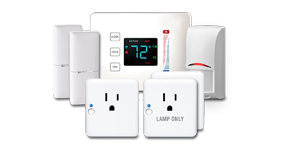 These easy-to-install devices are available for a variety of home uses by many different of brands with some only working with specific systems. Simply check to see if the device is compatible with your smart hub and app before purchasing. 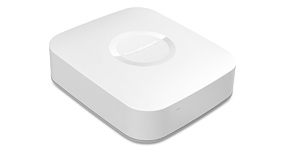 Continue reading for our Samsung SmartThings compatible devices. That's it. It's that easy. So what are you waiting for? Start living an better life with home automation, today! MyDigitalDiscount.com now offers a variety of smart devices at wholesale liquidation pricing to upgrade your home, and life, all within your budget. Don't mistake low cost with low quality - all MyDigitalDiscount.com smart devices are new, top-of-the line products. We simply found a great deal and we're passing the savings on to you, our customers, while supplies last! All of the smart devices below are Samsung SmartThings compatible. 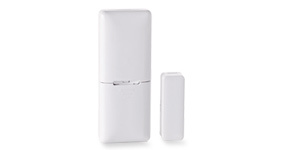 Some are also compatible with Zigbee Wireless supported hubs including, but not limited to, Wink Hub, Iris by Lowe's, Staples Connect, PEQ, Time Warner Intelligent Home, Rogers Smart Home, and Xfinity Home. Once synchronized, your devices will be usable from your smartphone, wall unit, tablet, or computer. Additionally, they may also be used with Amazon Alexa and Google Home on supported commands. 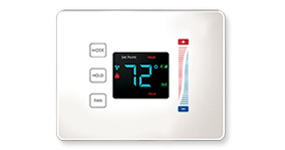 A great accessory to start off with, the Pearl Touch Thermostat controls the temperature of your home from anywhere. It is easy to install and great if you’re trying to make your home more energy efficient and save money! Use this sensor on your doors and windows for notifications if any are opened, plus temperature readings throughout the day. 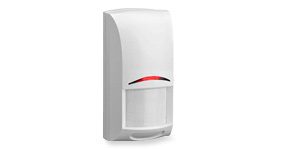 Receive an alert you if someone is approaching or inside of the home with this motion sensor from Bosch Security. It's also great if you have pets with detection immunity for animals up to 31 lbs. Additionally, it allows you to set lighting controls to turn on when motion is detected. Save yourself the headache of worrying “are the doors locked?” once and for all. 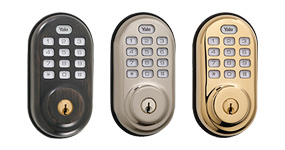 Lock and unlock doors, or allow keycode access to someone for a period of time, directly from your mobile app. On top of the manufacturer warranty, My Digital Discount offers a full 1-year replacement warranty on every smart device sold on MyDigitalDiscount.com for no additional charge to assure you're satisfied with your purchase. Let us know in the comments below and we'll do our best to assist you!